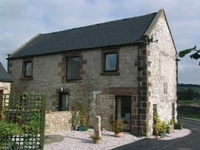 Special offers and late availability on Holiday cottages in the UK and Ireland. Find your perfect holiday rental property in Holidaycottages.cc or here on this website, then contact the owner directly to arrange your booking. Historic area with many attractions and activities within easy reach. (works out at between £370 and £470 depending on cottage and numbers). Relax and unwind in one of our 600 hand picked holiday cottages in Devon, Cornwall, Somerset and Dorset. Take a look at our current special offers to find a great deal.